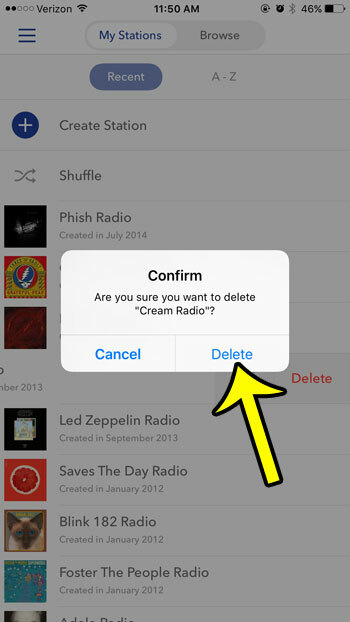 Learning how to delete stations on Pandora is an important skill for any frequent user of the radio streaming app to know. Various music streaming services, like Apple Music, Spotify, and Pandora, all have their own methods for delivering songs. While Apple Music and Spotify focus more on individual songs, Pandora uses stations, which you can customize by liking or skipping songs that you hear. This allows for a level of customization that hopefully results in an assortment of music that best suits your tastes. You can have a lot of stations on your Pandora account, which is great for catering music to different moods, but can be troublesome if you start to have too many stations. 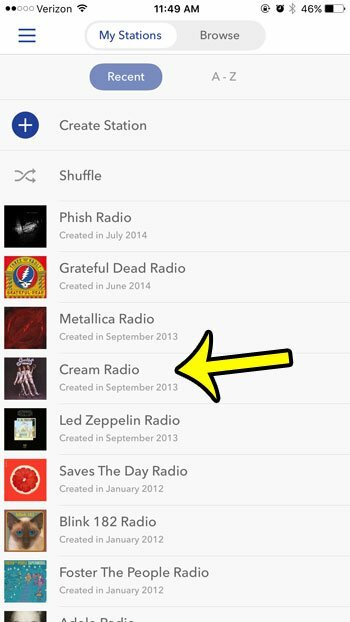 So you may find that you eventually need to learn how to delete stations from your Pandora account. 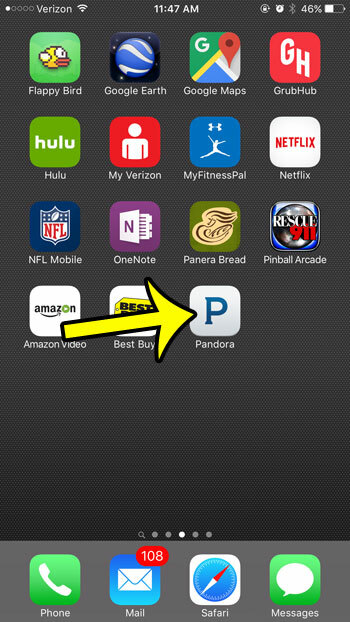 Our guide below will show you how to accomplish this through the Pandora app installed on your iPhone. 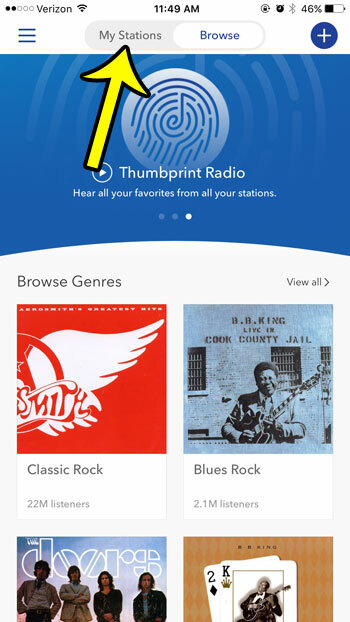 Note that this tutorial assumes that you already have a Pandora account, the app is installed on your iPhone, and that you have a station that you want to delete. Tap the My Stations tab. Locate the Pandora station to delete, then swipe left on it. Press the Delete button to confirm that you want to delete the station. Step 1: Tap the Pandora icon to launch the app. Step 2: Select the My Stations tab at the top of the screen. Step 3: Find the station to remove, then swipe left on it. 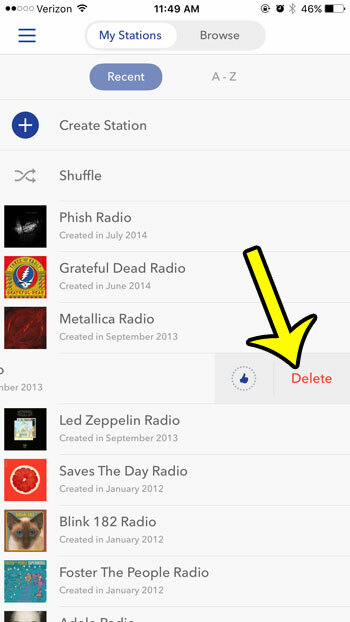 Step 4: Tap the Delete button to remove the Pandora station. Step 5: Tap the Delete button in the center of the screen to confirm the station’s removal and complete the process. Now that you are familiar with how to delete stations on Pandora, you should have a much simpler time finding and adding new stations in your account. Are you planning to install a bunch of new apps, or install a new iOS update? Learn how to check the available storage space on your iPhone 6 to see if you have enough room for what you want to do.